Hardwood logs harvested in late 2013 are piled up before being trucked from a J.D. Irving Ltd. logging site. 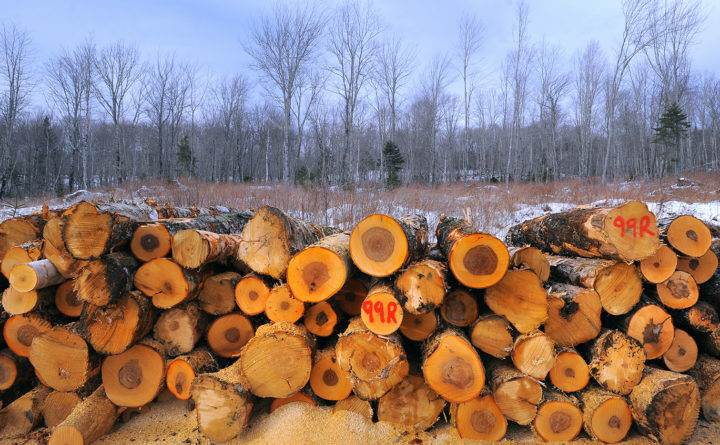 The company owns more than 1.2 million acres of woodlands in northern Maine. J.D. 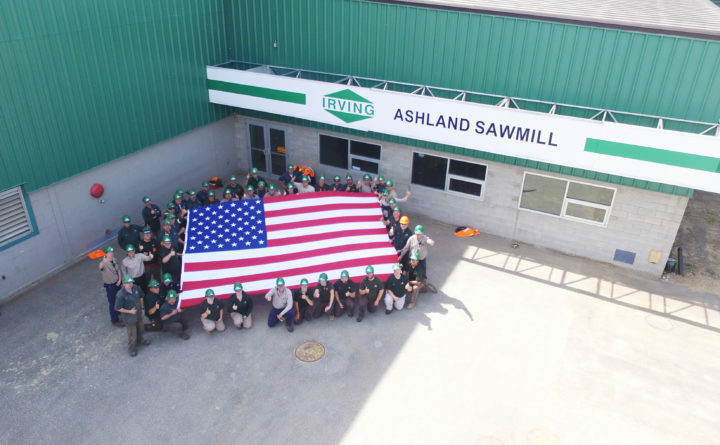 Irving's Ashland saw mill is one of it's U.S. operations that is targeted to get some of the 300 new employees the Canadian conglomerate expects to hire from 2019 to 2021. Canadian conglomerate J.D. Irving Ltd. plans to hire 10,000 workers between now and 2021, 300 of them in Maine. Of the total, 7,500 will be full-time hires and 2,500 of them students. Some 89 percent of the total will be in Canada, mostly in New Brunswick and Nova Scotia. Mary Keith, a spokesperson for J.D. Irving, said most of the Maine jobs will be split between its Ashland and Dixfield saw mills and its woodland operations. Most of the jobs will be to replace anticipated retirements and normal workforce turnover, she said. But others will be student or seasonal hires and for business growth. Of the 300 expected hires in Maine, Keith said 264 will be in the company’s saw mills in Dixfield and Ashland and in its woodlands operations. Across the organization, the highest number of job opportunities are in operations, shipping, supply and logistics, retail sales and finance. Keith said J.D. Irving has been operating in Aroostook County for more than 70 years. It has operations in agri-services, food manufacturing, rail transportation services, forestry and saw mills in nine communities in Maine. At the end of 2017 it had 602 direct employees in Maine and another 800 jobs supported through forestry contractors. Citing U.S. Bureau of Economic Analysis models, she said J.D. Irving’s operations support another 1,550 indirect and induced jobs in the state and about $116 million in direct, indirect and induced employment income in 2017. Also in 2017 the company bought $135 million in goods and services from Maine suppliers. Between 2013-2017 it invested $87 million in our Maine operations. J.D. Irving already has 15,000 employees across its Canadian and U.S. operations in Maine, New York and Georgia.